Saffron with twins .. One of which is a female and our very first girl out of 7 year old Saffron! And Oopsie with her twins. So that enormous udder has finally been put to work! It was quite entertaining trying to get the little people to feed for the first time as they were searching in completely the wrong place. I tried to explain that mum was rather large and that her teats were near the ground ... Eventually I lay them down and they found them quite easily then! 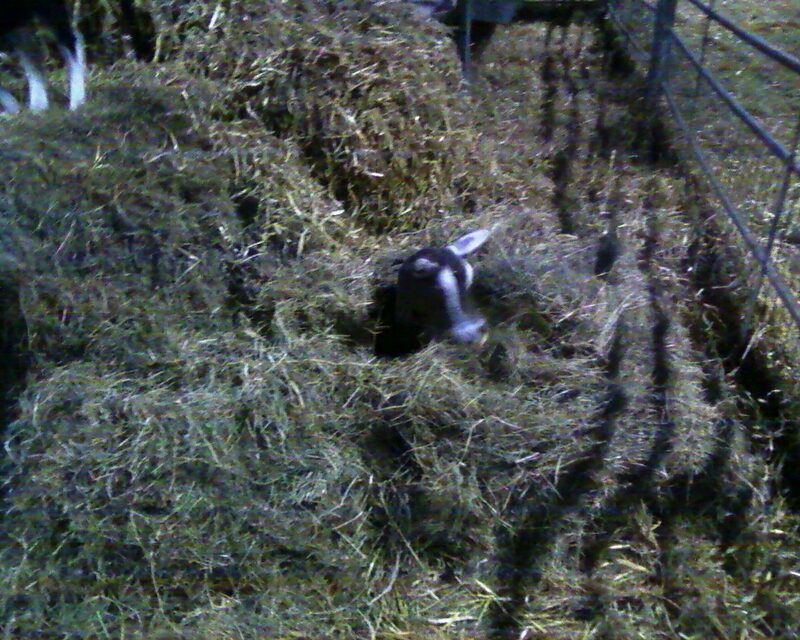 She was still bursting at the seams though so we milked her out last night. Lots of lovely colostrum to go in the freezer ready for needy babies. Almost 8 litres of it! I think she feels a lot more comfortable now!! And here's some of our little people for you ... Young Nina's daughter - how cute is this little face?! Bright and perky and doing very well indeed. 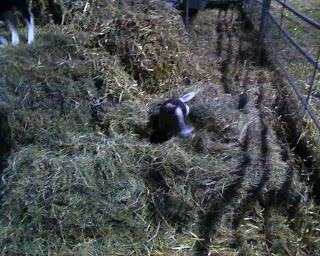 And by this evening, all we could see of Valerie was her little head poking out from the hay which had fallen down around her. She seemed very content just to lie there with an endless supply of food!